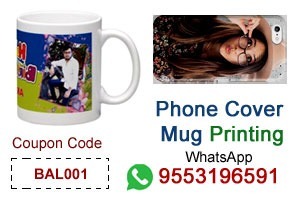 Kapil Sharma is an Indian comedian, television presenter, actor and producer. 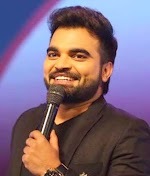 He has also hosted comedy shows on television like Comedy Nights with Kapil, The Kapil Sharma Show.Ormax Media ranked Sharma as the most popular Indian TV personality in April 2016. Forbes India ranked him 11th in his Celebrity 100 list in 2016. Forbes India ranked him in 18th in its Celebrity 100 list in the year 2017 with an income of Rs. 48 crore.He received the 2013 CNN-IBN Indian of the Year award in the Entertainment category and was ranked third in the list of Most Admired Indian People by The Economic Times in 2015.Sharma was nominated for Swashh Bharat Abhiyan by Indian Prime Minister Narendra Modi and was invited to Rashtrapati Bhavan by President Pranab Mukherjee in September 2015 to recognize his contribution for the same. Kapil was born in Amritsar, Punjab.His father, Jeetendra Kumar Punj, was police chief in the Punjab police while his mother, Janak Rani, was a housewife.His father was diagnosed with cancer in 1997 and died in 2004 at AIIMS in Delhi. He studied at Khalsa College in Amritsar, Punjab. Kapil Sharma has a brother named Ashok Kumar Sharma, who is a police officer and a sister named Pooja Pawan Devgan. He studied at Dav Public School, Lawerence Road, Amritsar. Kapil Sharma, who has always been close in his relationship, surprised everyone by introducing his girlfriend Ginni Chatrath to the world on March 18, 2017. Kapil became famous after winning comedy reality show The Great Indian Laughter Challenge in 2007, for which he won a cash prize of 10 lakh INR. He previously worked on the Punjabi Hasde Hasande Ravo show on the MH One channel. He participated in Sony's Comedy Circus and went on to win six seasons of the show. He was also the host of the reality show Jhalak Dikhhla Jaa Season 6 and another comedy show Chhote Miyan. Kapil was seen as a competitor in the Ustaadon Ka Ustaad show in 2008. In 2013, Kapil launched his own show, Comedy Nights with Kapil, under his banner K9 Productions on Colors. In the 2013 edition of the CNN-IBN Indian Award of the Year, Kapil was congratulated with the award of the Indian of the Year award in the entertainment category by veteran actor Amol Palekar . During the 2014 Lok Sabha elections, he was appointed Brand Ambassador by the Delhi Electoral Commission. Kapil co-hosted the 60th Filmfare Awards in 2015 with Karan Johar. He was the presenter of the fourth season of the Celebrity Cricket League, 2014.He appeared as a guest on the opening episode of the eighth season of the Indian television show Kaun Banega Crorepati and also as a celebrity guest on The Anupam Kher Show.He also appeared as a guest at Koffee With Karan in 2017. Kapil made his Bollywood debut as a male leader in the film Kis Kisko Pyaar Karoon, a romantic comedy directed by Abbas Mustan against four actresses, Elli Avram, Manjari Phadnis, Simran Kaur Mundi and Sai Lokur. The film was released on September 25, 2015 to critics mixed with critics and made breaking record breaking business for a beginner. After the end of Comedy Nights with Kapil, Kapil signed a contract with Sony TV for a new show called The Kapil Sharma Show. His last episode was released on January 24, 2016. After that, he began working on Sony Entertainment Television for The Kapil Sharma Show under his K9 Productions. The show Kapil Sharma began airing on April 23, 2016 and received a positive response from viewers. In December 2016, he signed two films and is currently working on them. He also renewed his contract with Sony Entertainment Television for The Kapil Sharma Show. His second film, Firangi, is released on December 1, 2017. Directed by Rajiev Dhingra, Firangi is a 1920s period dramatic film.